The gym on St. Patrick’s campus was made completely free for the final three weeks of this semester in a bid to alleviate the stress of exams for students. Initially, a number of requests had been made for a pay-as- you-go scheme to be introduced for the St. Patrick’s campus gym. The decision to make the gym free for use for the final three weeks of the semester came after discussions between the Student Union and DCU Sport. 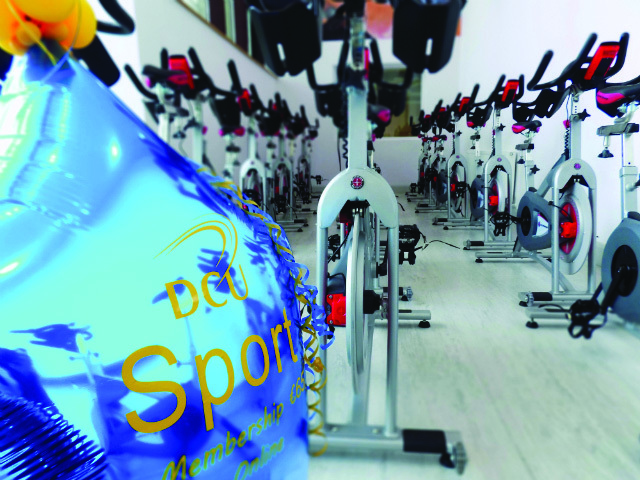 DCU Sport acknowledged that the final weeks of the semester are a challenging time for students, saying they wanted to provide an outlet where students could go to alleviate stress. With the all-important exams approaching for students, the move to make the gym free was made to help students cope with the stress that surrounds this time of year. This is exclusive to the gym on St. Patrick’s Campus and does not apply to the gym on the Glasnevin campus. Students who are based on the Glasnevin campus, such as Hugh Farrell, would welcome the initiative if it was to be introduced at some stage in the future. Ross Munnelly, the Senior Sports and Skills Development Officer on the Glasnevin campus welcomed the initiative on the St. Pat’s Campus. “It is a fantastic initiative to encourage students to get physically active for the rest of semester,” Munnelly said. While the gym on Glasnevin Campus hasn’t run the same initiative as the St. Pat’s gym, Munnelly said there have been events on the campus to reduce assignment and exam stress for students. DCU Sport provided DCU Basketball Club with the full arena on Glasnevin campus for the club to run a three-versus-three recreational tournament on Tuesday, 11th April. The teams were required to be mixed teams of male and female students and over 100 students participated.